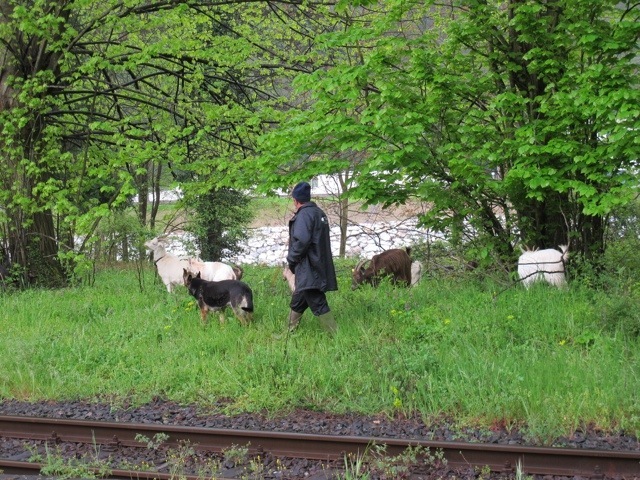 My friend Heather and I were waiting for a train at the Fornoli station the other morning when we spotted a small herd of goats, with their owner and their dog, having breakfast beside the tracks. 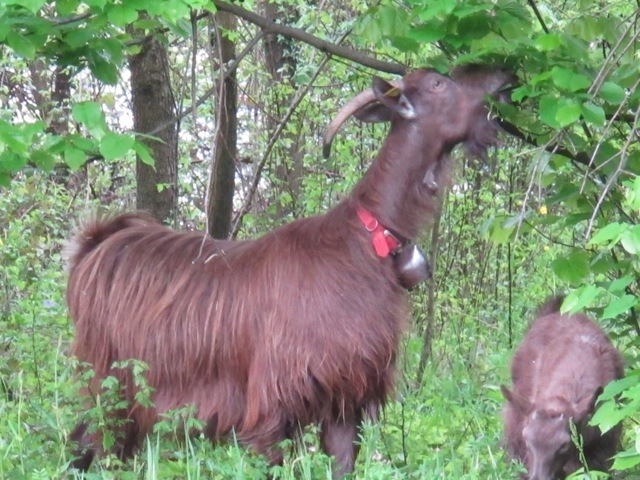 They were a very handsome family of goats, with impressive horns, and lovely beards…obviously well looked after. 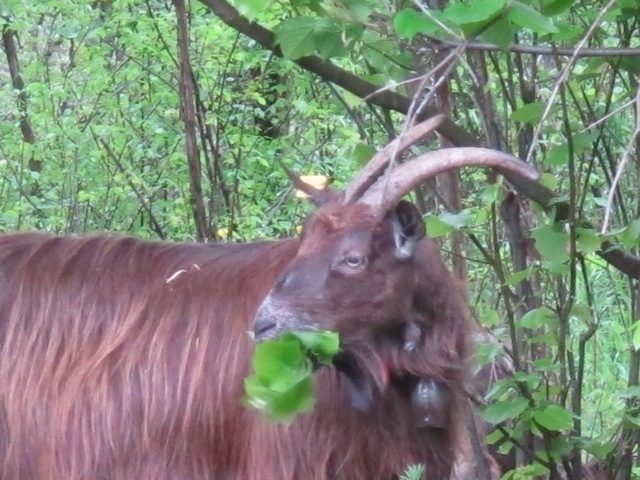 Just as our train pulled into the station the little group wandered off after enjoying some tasty new spring leaves. I do love these little rustic scenes that happen occasionally in Bagni di Lucca. 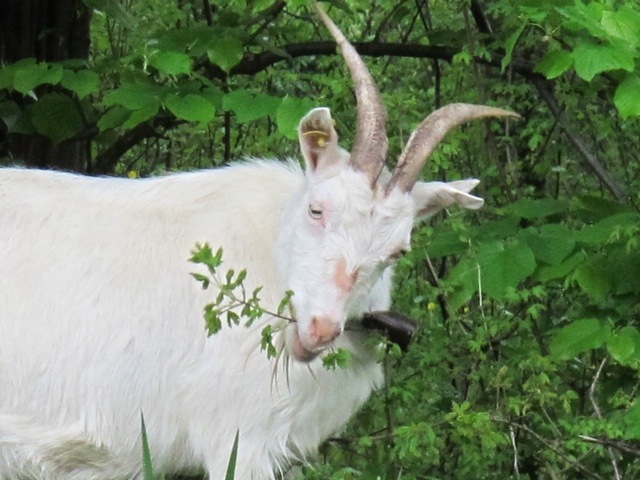 This entry was posted in Things to see and do and tagged Bagni di Lucca, goats, Italy, photography, travel, Tuscany by Debra Kolkka. Bookmark the permalink. 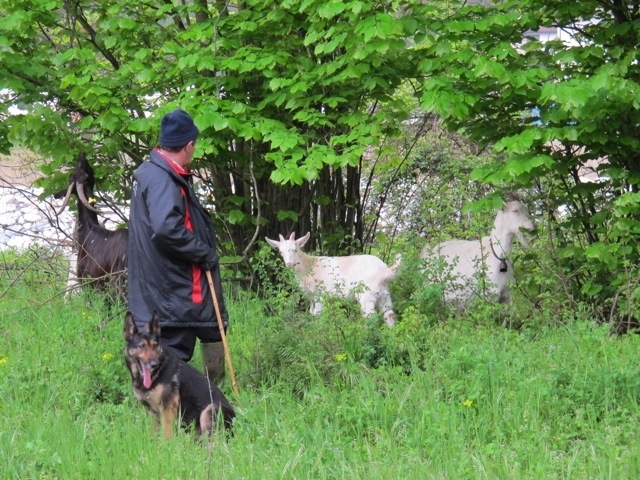 Lucky goats. So much fresh food already. 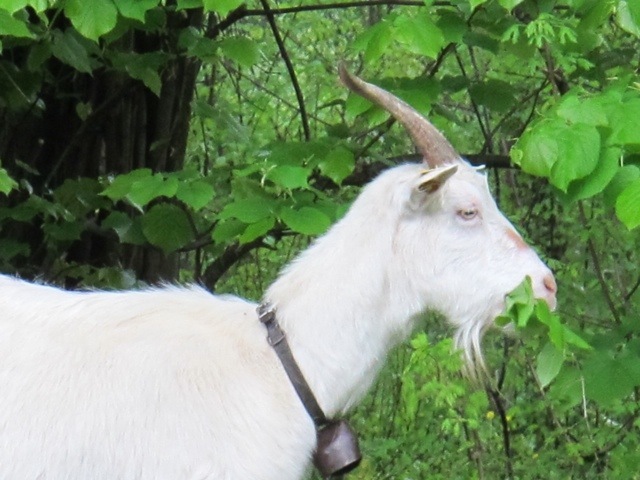 Spring growth has been late coming, but it is moving along quickly now. I love to see such well cared for animals in the village. What a fun site! Hope your breakfast and lunch was as good and fresh as theirs was! LOL! Their breakfast was certainly fresh and green. 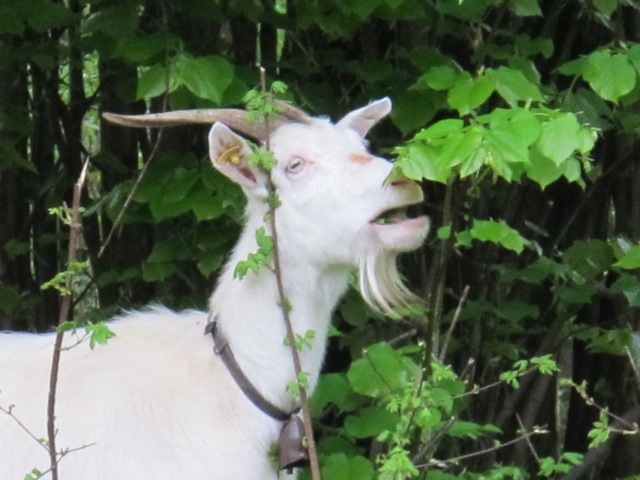 Such lovely creatures and it looks to me as though the goatherd has a pretty good take on life and in such lush spring greenery. They all looked very happy with themselves. 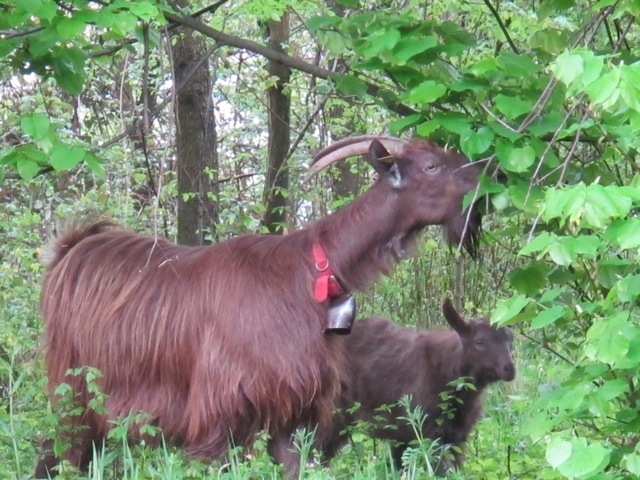 The goats are bred for their milk. Jackpot!! Looks like everything is moving along well at Casa Debbio too. I knew you would be impressed. It has been like pulling teeth getting things done at Casa Debbio, mainly because of the absolutely awful weather. It is raining here again today, which means our wall builders won’t be able to work…again.